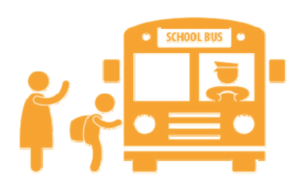 Student Transportation Services of Waterloo Region (STSWR) plans, implements, communicates and monitors the safe vehicular transportation of over 30,000 WRDSB and WCDSB students daily and provides School Travel Planning support for walking and cycling routes to school. Download the STSWR Kindergarten brochure to print. All Kindergarten students taking the bus home from school will have a “Kindergarten” tag, as issued by your school at the beginning of the school year. This tag includes your child’s pertinent transportation information, helping the driver ensure your child gets off the bus at the correct location. To ensure your child’s safe delivery, please contact your school immediately to replace a lost tag or if your child’s tag requires an information change. Opting out of busing for your child? assigned to a bus and inadvertently put on a bus at the end of the day. You may opt-out of all busing, or morning or afternoon busing only. The form lets your school and driver know that your child will not be taking the bus in one or both directions. You can reverse this change at any time throughout the school year by contacting your child’s school. Please arrive at your bus stop 5 minutes ahead of the scheduled pick up time to avoid missing the bus. This program prepares JK and SK students to ride the bus in September and is offered the last Sunday of August each year at various locations around the tri-cities. Children and their parents/guardians will receive important safety information and ride a real school bus to help familiarize children with the bus and to make it safe and comfortable for them to ride the bus to school. If your child resides in the bus zone, you will receive a flyer at the beginning of August with information on how to register for this program. Many elementary school buses are monitored by safety patrollers. These students assist younger students when entering/exiting the bus and they provide support to the bus driver in the event of an emergency situation. Patrollers receive safety training each fall in sessions conducted by the Waterloo Region Police Service, Municipal Fire Departments and Region of Waterloo Paramedics. 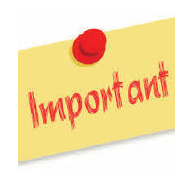 To receive alerts regarding delays and cancellations to your email address or via text message find instructions to enroll online. 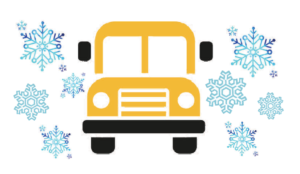 Subscribers receive notice of late buses and cancellations due to inclement weather.